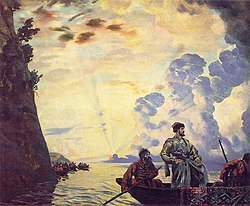 Sakharov, Andrei Nikolaevich (1973) Stepan Razin (Khronika XVII v.) Moskva, "Mol. gvardiia", 319 p. Biography in Russian. Field, Cecil (1947) The great Cossack; the rebellion of Stenka Razin against Alexis Michaelovitch, Tsar of all the Russias London, H. Jenkins, 125 p. Biography in English.